Detained Iranian scholar Ahmad Ghabel is reportedly in very poor health as a result of a brain tumor. The Kaleme opposition website reports that Ahmad Ghabel, a religious scholar in Iran and the whistleblower on the alleged mass executions at Vakilabad Prison in Mashhad, is nearly comatose on account of his brain tumor, and doctors have given up on his treatment. He family reports that his symptoms became apparent last summer when they visited him in jail, and later, when he was given a temporary release, medical tests revealed the presence of the tumor. In August of 2011, Ghabel was given a 20-month jail sentence and transferred to Vakilabad Prison. 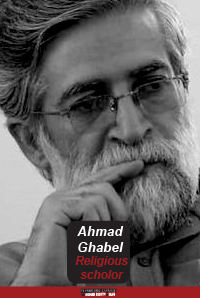 Ghabel had been jailed twice before for charges of "propaganda against the regime" and "insulting the leader" and for participating in the funeral of dissident cleric Ayatollah Montazeri. After his release from an earlier eight-month sentence, Ghabel informed the International Campaign for Human Rights in Iran that a group of 70 prisoners charged with drug offences had been executed en masse at Vakilabad Prison. The authorities deny the charges but have confirmed that, because Mashhad is on the route of many drug smugglers, Vakilabad has a high volume of drug offenders that, by Islamic Republic law, can be given the death penalty.